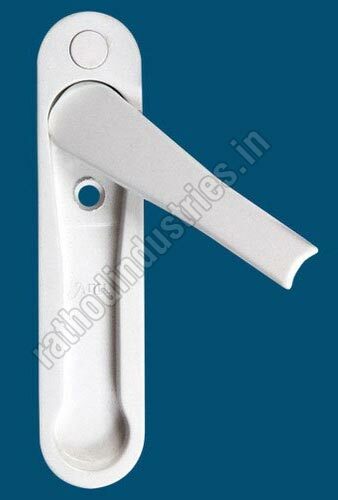 We are the most respected UPVC POP Up Handle Manufacturer, Exporter & Supplier based in Maharashtra, India. Made from superior quality UPVC (Unplasticized polyvinyl chloride) material, our UPVC POP Up Handle is immensely accredited for features like high strength, durability, light weight, heat resistance, temperature resistance, weather resistance, etc. Clients can avail bulk quantities of our UPVC POP Up Handle at very reasonable rates. It is used for sliding shutter in windows. We offer UPVC POP Up Handle in different color options such as white, off white, black and golden.